Welcome to our web site devoted to making your primary care accessible and convenient. Our philosophy is to treat each individual with respect and dignity. As such, we strive to be available and accessible to meet your medical needs and coordinate specialist referrals. Project Medicine Drop places drop boxes in the headquarters of participating NJ police departments. Consumers from anywhere in the state can dispose of unused and expired medications anonymously in the boxes seven days a week, 365 days a year. MyChart offers patients personalized and secure on-line access to portions of their medical records. It enables patients to securely use the Internet to help manage and receive information about their health. The Medicare Annual Wellness Visit is a new approach to healthcare focused on preventing and delaying the onset of chronic illnesses such as heart disease, cancer, and diabetes so that you can live a healthier life. If you have Medicare Part B, please see us about scheduling a Wellness Visit. Stop by at the front desk or call today to schedule your appointment for a Wellness Visit. Talk to your doctor whether or not to have the PSA test. The PSA test is a blood test to see if you might have prostate cancer and to monitor treatment. This is an important "shared decision making" between you and your doctor. Download a copy of the form to help you understand your choices. This is an important "shared decision making" between you and your doctor. Our Doctors are available 24 HRS / 7 DAYS A WEEK. Call us if you need urgent care! There are options before deciding to go to the Emergency Room (ER). The ER costs you more money and takes more of your time. Of course, call 911 or go to the ER for life threatening care. Horizon Patients are encouraged to go to Urgent Care centers. 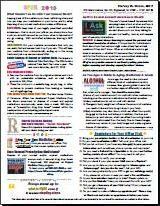 Do you need guidance on nutrition, diabetes, cholesterol, weight-related issues? Do you have a copy of the "Patient-Centered Medical Home Guidebook"? There are different ways to get a copy. Want to Become a Member of our Patient Advisory Group (PAG)? An Advisory Group gives us an opportunity to hear from our patients about how we can be more patient-centered and better meet our patient's needs. Check out our Monthly Newsletter for events at local organizations and local hospitals such as Englewood Hospital and Holy Name Medical Center. Stop by at the front desk to get a copy or view it online. Alcohol Awareness Month is an opportunity to raise awareness of alcohol abuse and encourage people to make healthy, safe choices. If you are drinking too much, you can improve your life and health by cutting down. There are many strategies you can try to cut back or quit drinking. • Keep track of your drinking and set a drinking limit. • Try to avoid places where heavy drinking occurs. • Ask for help from a doctor, family, or friends. • If you keep alcohol in your home, keep only a limited supply. Your risk of getting skin cancer is real. 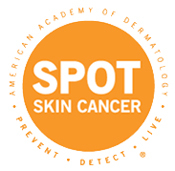 • Skin cancer is the most common cancer in the United States. • Prevent. Seek shade, cover up, and wear sunscreen. • Detect. Look for new or changing spots on your skin. • Live. See a dermatologist if you spot anything changing, itching, or bleeding. 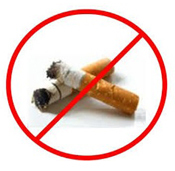 Quitting smoking now improves your health and reduces your risk of heart disease, cancer, lung disease, and other smoking-related illnesses. See I'm Ready to Quit! for additional resources from the CDC. 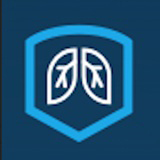 Mesothelioma is a cancer caused by inhaling or ingesting asbestos fibers. It affects the linings of lungs (pleura), abdomen (peritoneum) or heart (pericardium). These linings are known as the mesothelium. 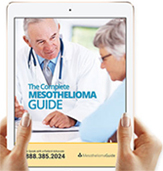 There are many treatment options for mesothelioma depending on your specific diagnosis, including chemotherapy, radiation and surgery.